Jack and Ellen Bray started JEB Mfg., LLC about 4 years ago to create “what is not being made that people want” and “things that are not made anymore” using 3D printing. Jack was an architect for 35 years and created JEB as his “retirement” business. He started with one 3D printer and added another with a smaller nozzle for detail parts. 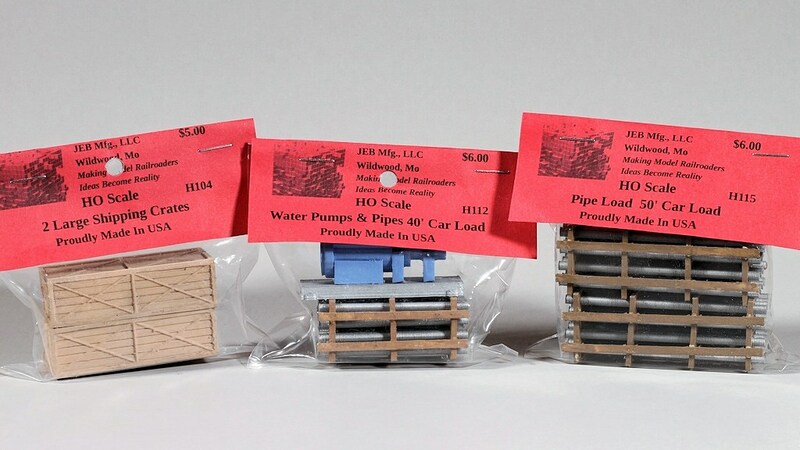 JEB Mfg, LLC creates 3D printed HO, N, and O scale detail parts. The line includes detail parts and car loads. 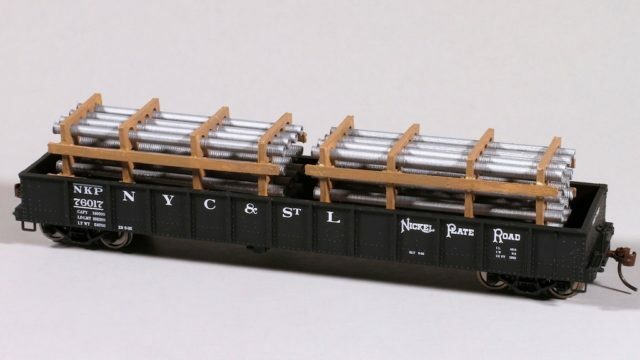 The models are made in O, N, and HO scales. Jack feels the biggest challenges are in getting the prototype right and getting the final model to look right. The detail parts feature a combination of hand brushed and airbrushed finishes. 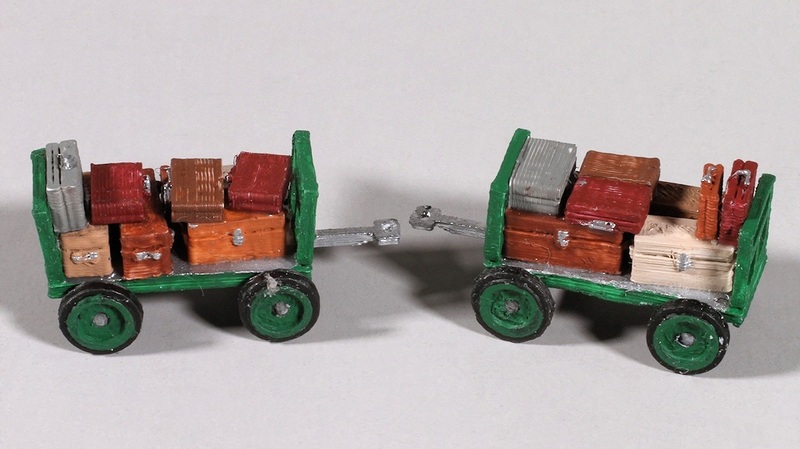 These 3D printed baggage carts first attracted me to the JEB product line. A number of loads are available, such as this pressure vessel. Easily fits on a 40′ flatcar. 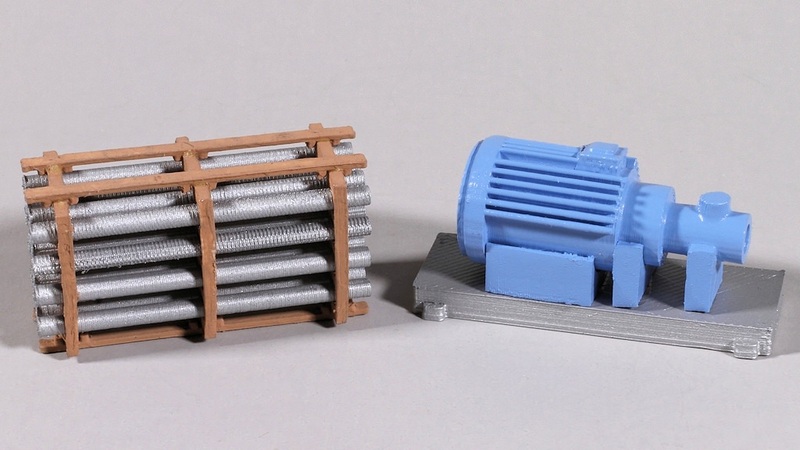 The raw materials, packaging, and 3D printers are all made in the USA. Some of the models, such as the street details, pipes, and outhouses, are fabricated in PLA plastic, which is biodegradable and recyclable. 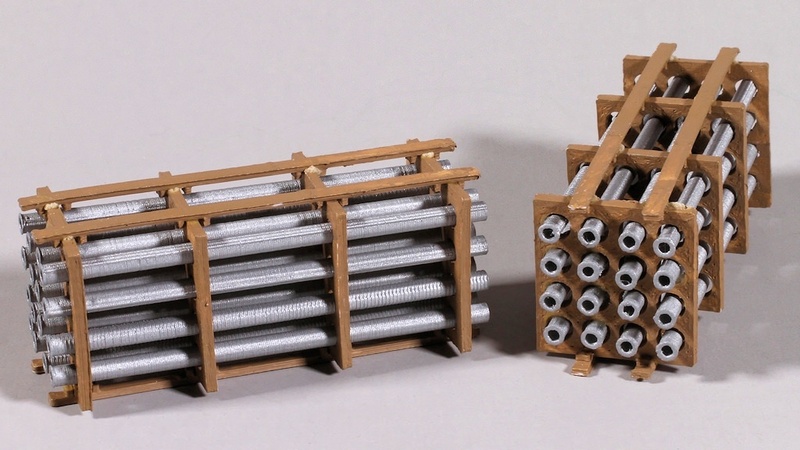 Many other parts, such as crates and wood details, are printed in ABS plastic. Although marked as a load for a 50 foot car, the pipe load also fits nicely in this 46′ gondola. 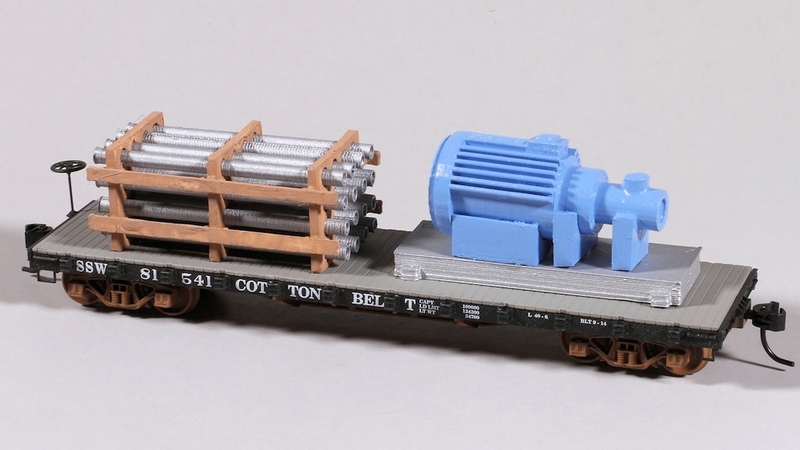 The 40′ water pump and pipe load looks nice on this 40′ flat car. This water pump and pipe load works for flats or gondolas. 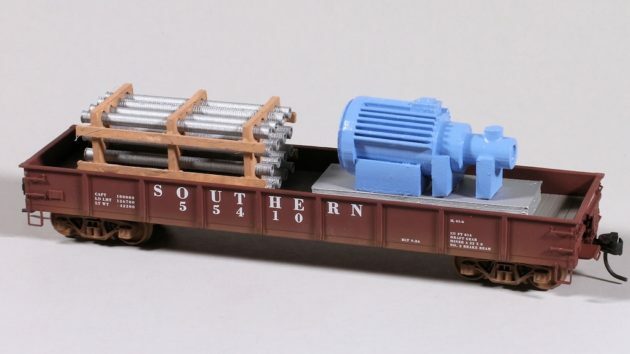 A set for 40 foot cars is also available with just the pipe loads. I first saw the JEB detail parts at the hobby shop in K-10 Model Trains. 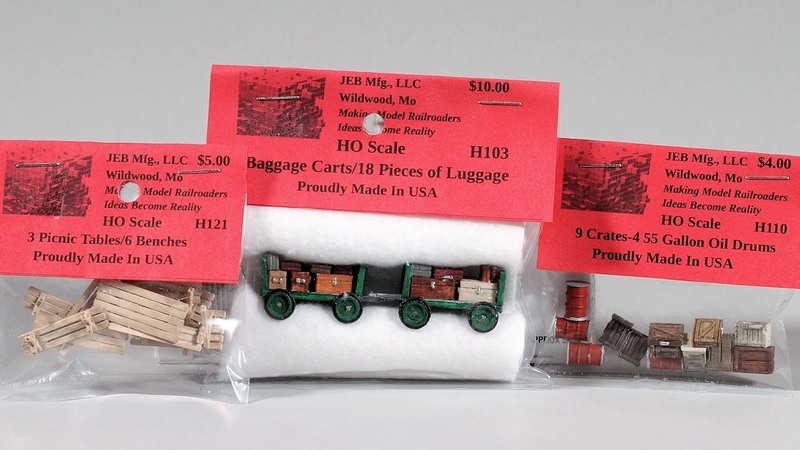 I loved the look of the mail and baggage carts, and purchased a some of the detail and pipe load packages there. 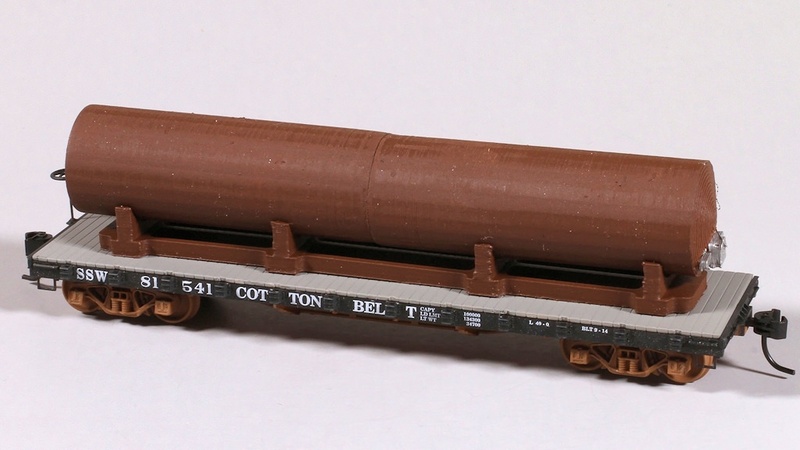 I also added a few more parts (at full retail) from Jack when I talked with him about his business at a recent Gateway NMRA train show.